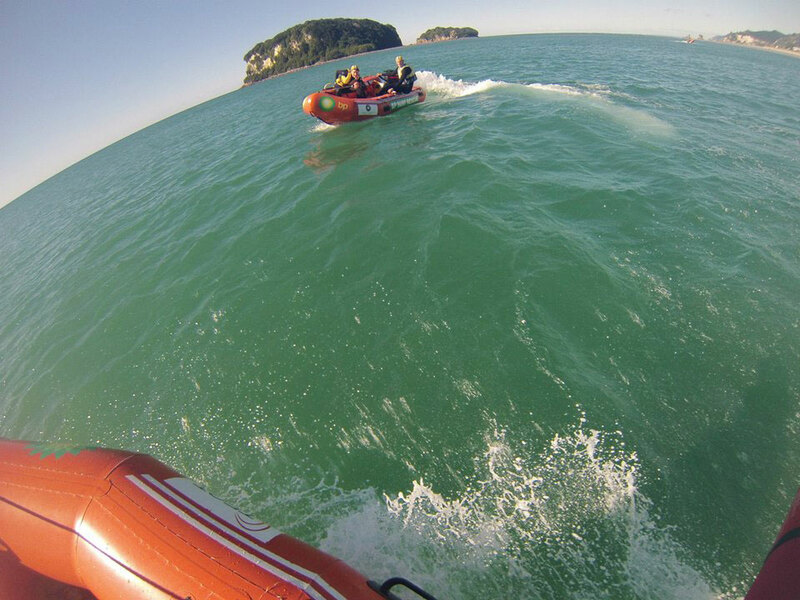 Recently 7 Whiritoa Lifeguards attended a IRB Development weekend at Whangamata Beach, guards from Pauanui, Whangamata, Waihi and Mt Maunganui also came along. I have to point out that Whiritoa was the only club to turn out in their club colours which you may be able to spot from the pictures. The event was facilitated by New Zealand Surf Eastern Region’s Leigh Sefton and Stu Lowth as Examiners and assisted by the Instructors who came along with each club. The participants ranged from new inexperienced, to those wanting to brush up on a few skills which made for an interesting few days out on the water. There was no exam as it was more a weekend to just practice and gain skills, also pick up things from other people, tips of the trade if you will. The weather was spectacular with little to no surf but that was good for those that were brand new, the water was still pretty cold of course. Participants practiced launching the IRB, maneuvering the IRB through the surf zone, paticaint pick ups and of course beaching the IRB when returning back to shore. Alex Polglase, Jack Wilson and Taylor Moore attended for their drivers and Robert Law, Ariana and Ethan Tomaszyk were going for their crewmans award. I attended as their instructor and thought that the weekend was a great success, it was only the 3rd time that they had held a weekend like this and it was aimed at providing further skills, knowledge and confidence ahead of the Raglan Examination weekend which is coming up in late September. Watch this space for further details on upcoming training weekends and development courses! I’ve just received this, but the event seems to have happened a few months ago. Would you give me a call please? Hey Chaz, I think it’s actually Cameron who tried to make contact, I called back and spoke to Leslie. I need to call again just haven’t got round to it.